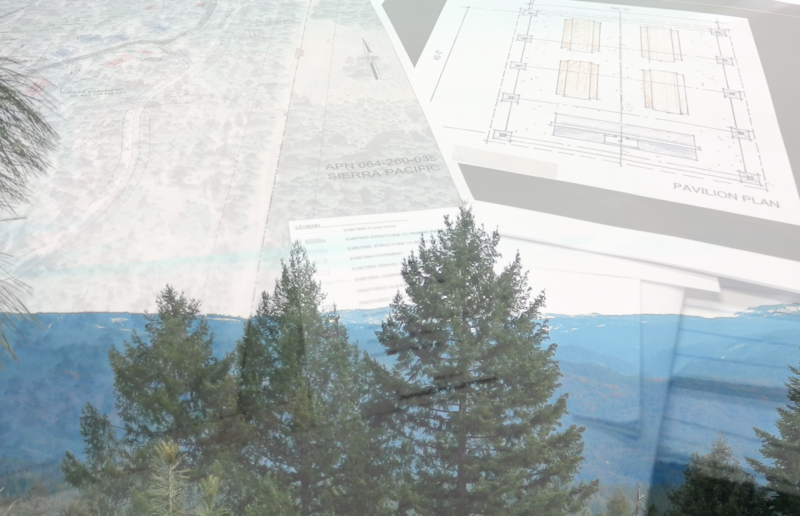 If you’ve been following the progress of the Yuba property, you know that we did a lot of logging this past Autumn. All of the logged trees are long gone and at the mill waiting to become lumber, but left behind are hundreds of stumps–the majority of which are right where we want to construct campsites, buildings, program areas and more. The removal of the stumps began on July 5th–and it’s a big, big job. But pulling those stumps and roots balls out of the ground with heavy equipment is just the beginning–we were stumped–what the heck are we going to do with all those stumps? Our original plan was to have the stumps moved to a remote section of the property for mother nature to naturally take care of. However, we learned from one of our contractors that maybe mother nature can use those stumps in a better way. Why leave them to rot when they can be re-purposed? You might be asking yourself, what could those giant stumps with huge roots be good for? Well it turns out that stumps and gnarled roots and craggy branches of trees make excellent shelter and habitat for fish! Efforts are being made to combat the effects of recent droughts, and this past winter’s deluge of water ripping down our rivers, by dropping stumps and root bundles into rivers, providing a place for fish to hide from predators. At most risk are young salmon which use the tree’s root structure to hide from predators and be encouraged to stay in colder waters longer, which improves their survival odds. Rather than letting all of our stumps rot and wither away, we will be doing a Good Turn for the fish of California by working with local officials to have many of our stumps used to help protect our fisheries for future generations! Check out this article about stumps being used on the Sacramento River to protect spawning salmon. Previous PostPrevious This Old House! Next PostNext A Perc What?